MediChoice offers a range of AAMI-rated isolation gowns, including these Level 3 gowns, which are designed for moderate to heavy fluid contact. 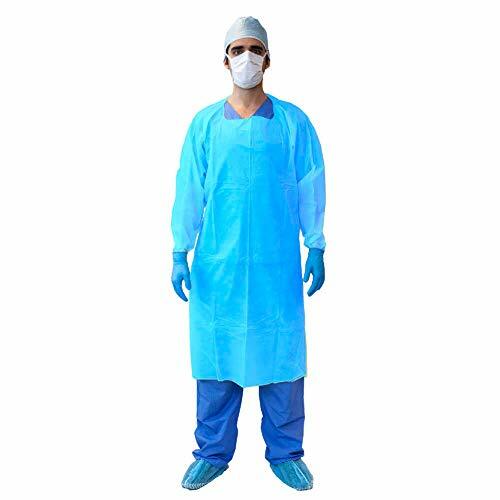 The material is a comfortable three-ply SMS (spunbond-meltblown-spunbond) in blue, and the gowns feature full backs, neck ties to fit a wide range of wearers, thumbloop cuffs, and ultrasonically welded seams to help ensure the single-use gowns maintain integrity and resist fluid penetration during use. MediChoice is Owens & Minor's brand of medical-surgical products and durable medical equipment that is expanding to meet the changing needs of healthcare. MediChoice, your choice for quality, value and unmatched service. Search MediChoice for additional product offerings.